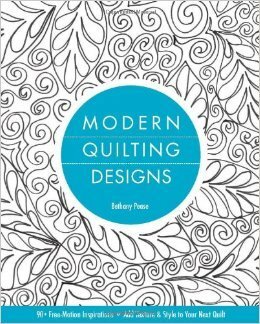 This intermediate-level guide is filled with 92 modern quilting designs for borders, blocks, and fillers—many are continuous-line. These fun, freeform shapes and lines give an imaginative spark to any quilt. Pebbles, waves, vines, and finials are just a few things that inspire Bethany Pease’s hip and doodly designs. Quilting diagrams show you how to put designs together for the best effect. Bethany runs a long-arm business and doodles every chance she gets. She’ll also show you how to spot interesting patterns wherever you look to translate into your quilting.